Metal self-drive plasterboard fixing. Recommended for fire resistant applications. 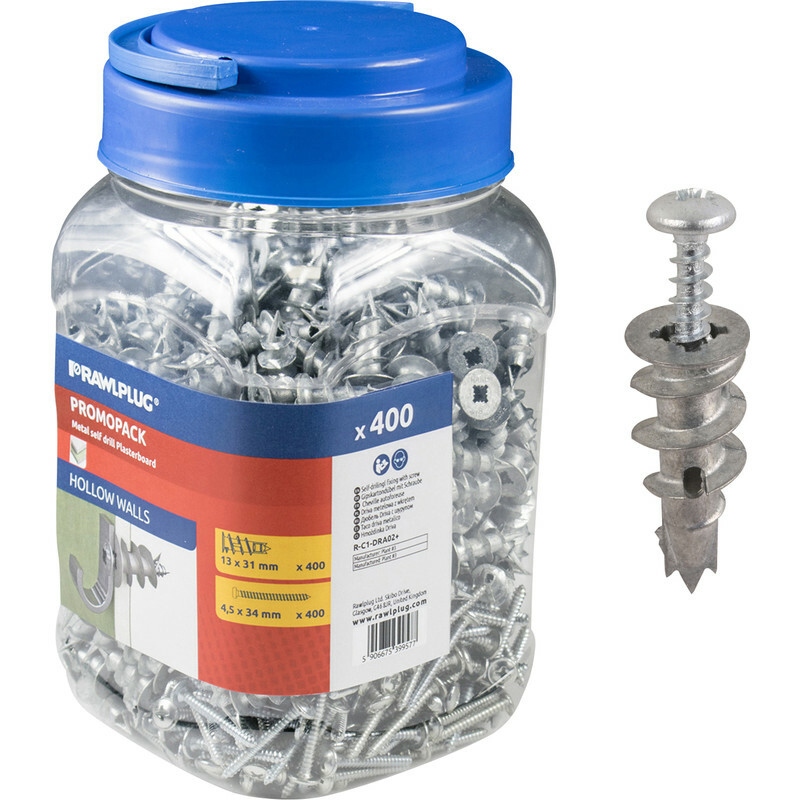 Rawlplug DRA02 Metal Self Drill Plasterboard Fixing 31mm (400 Pack) is rated 5.0 out of 5 by 1.